The weekend is here and with it, comes our weekly showcase of great Royal Caribbean photos that our readers have shared with us. Our first photo is by Pascal Everard and it was taken in Moorea. Next we head to another paradise, Labadee. 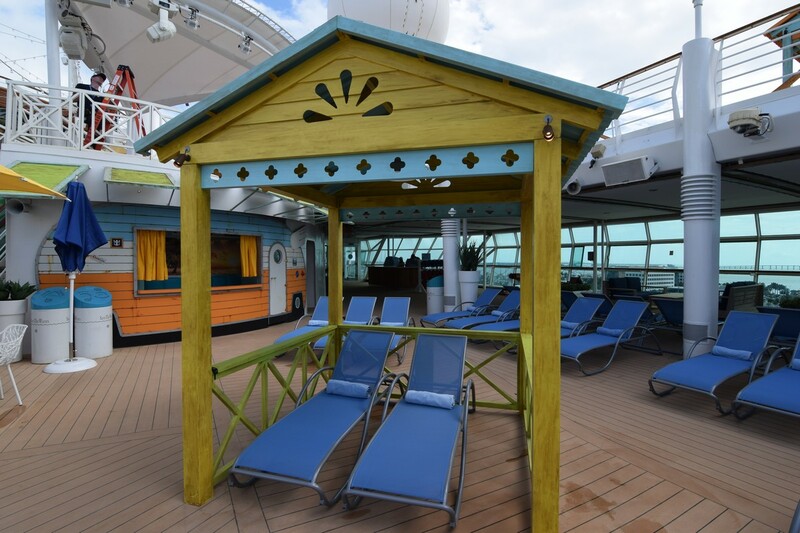 Joe Moran shared this photo from just outside their over-the-water cabana with Freedom of the Seas in the background. Here is a shot you will not be seeing anymore. Anthem of the Seas anchored off the coast of CocoCay, taken by Jenn Ullram. Corey Seeman shared this photo from Empress of the Seas as their ship entered Havana harbor. Here is a beautiful photo by Kinny Lee of Allure of the Seas from the early morning on the Boardwalk. Jean Francois Bekono took this photo on Majesty of the Seas as the ship made its way to Nassau. Jeff L. took this photo of the entrance to Casino Royale on Independence of the Seas. Here is a lovely shot from Jennifer's room as their ship sailed out of Galveston. Thank you to everyone for sharing these great photos. 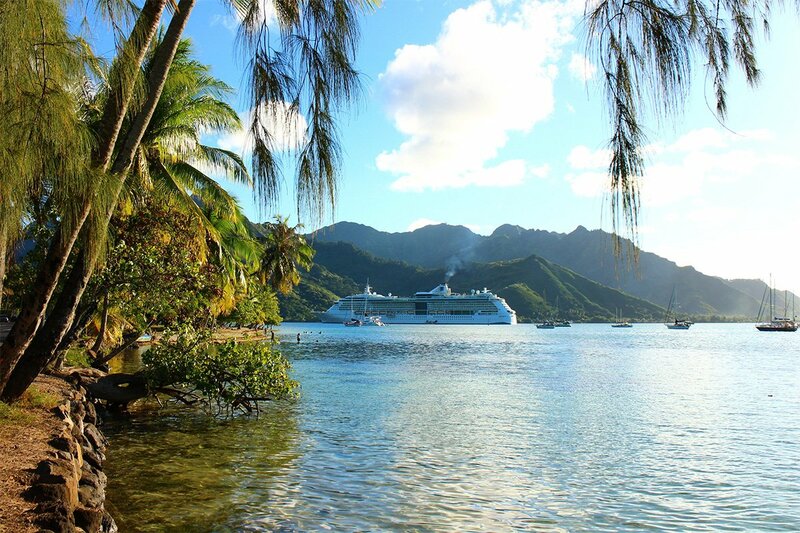 If you would like to share your own fabulous Royal Caribbean photo, send them in via this form. Have a great weekend! 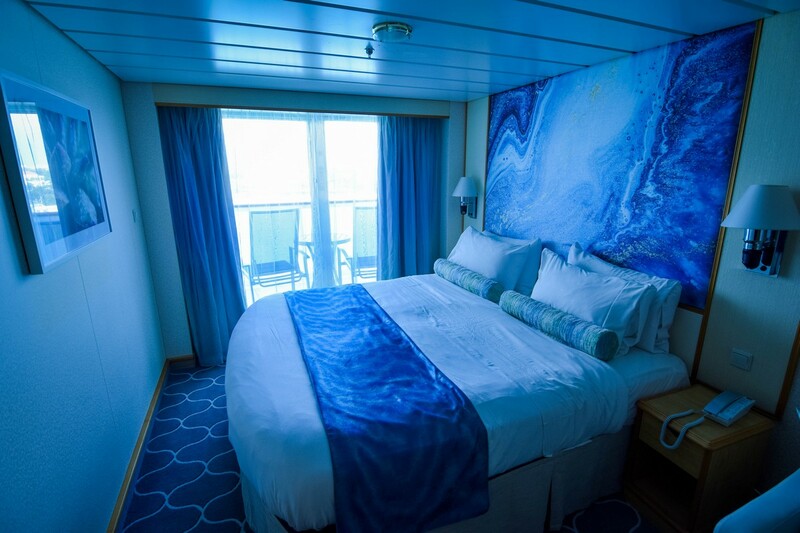 Have you heard about the big changes Royal Caribbean made to Navigator of the Seas? Want to know exactly what was changed, added or improved? Today's RoyalCaribbeanBlog video is perfect for you! Navigator of the Seas got some incredible new features, dining venues, entertainment and more added to the ship and we compiled a list of everything we spotted that was different onboard. Royal Caribbean is offering up to 30% off pre-cruise purchases during a Cruise Planner sale this weekend. The Deals on Deck sale runs between March 7 and March 11, 2019 and is valid on sailings between March 13, 2019 - September 30, 2019. 3 Night Dining Package. Discount varies by ship. (Excludes MA, MJ, QN, OA Interporting + Master Sailings and Charter Sailings). 3 Night, 4 Night and 5 Night Ultimate Dining Package. Discount varies by ship. ( Excludes Adventure, Allure, Explorer,Freedom, Harmony, Liberty, Majesty, Oasis, Ovation, Quantum, Rhapsody and Charter Sailings). To check if your sailing has this new offer available, log into the Cruise Planner on Royal Caribbean's web site look for any available offers. Keep in mind that not all sailings may see the sale applicable, nor are all offers significantly cheaper than previously posted. If you spot a better discount on something you already pre-purchased, you should be able to cancel the purchase and then re-purchase the same item under this promotion. Royal Caribbean's Double Up Sale rolled out today, which offers combinable instant savings and money to spend at sea, in addition to 30% off every guest. 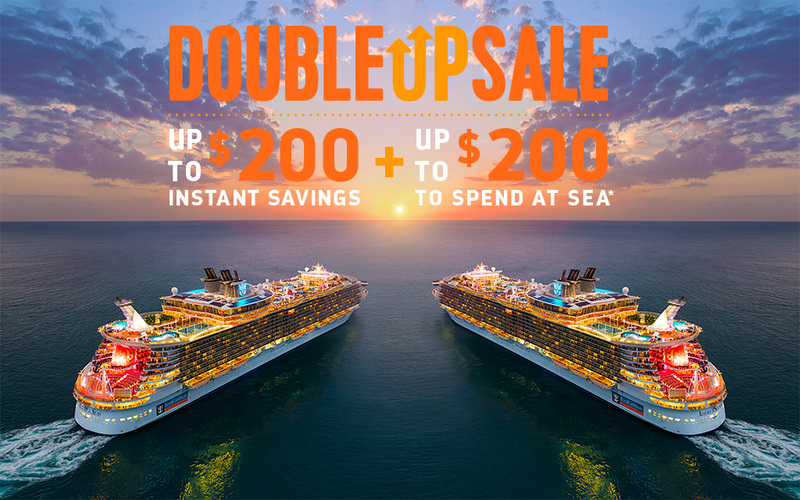 The Double Up Sale is valid on cruises booked between March 6, 2019 and March 10, 2019 and applies to select sailings departing on or after April 6, 2019. 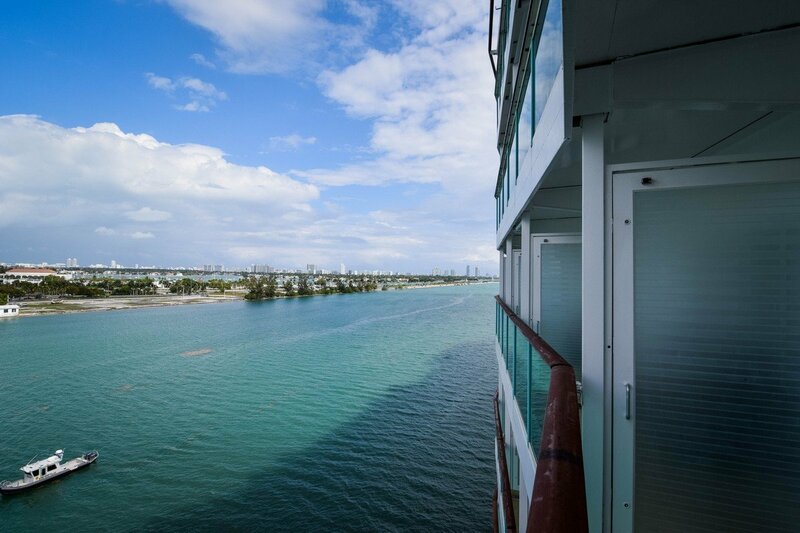 30% off cruise fare for all guests in the stateroom. Onboard credit and Instant savings do not apply to China departures. Offer open to residents of US, Canada, Puerto Rico and select countries in the Caribbean. The 2019 Cruise Critic Cruisers’ Choice Awards were announced today, and Royal Caribbean came away with four wins. The ninth annual awards celebrate the most popular cruise ships of the year, based on consumer reviews and ratings shared on Cruise Critic over the past year. For the full list of winners, visit the 2019 Cruise Critic Cruisers’ Choice Awards. We are back with another RoyalCaribbeanBlog video this week, and we have the most important things to pack for your Royal Caribbean cruise! We all know that feeling... you are getting ready for your vacation, but you cannot shake that feeling that you are forgetting something. Our goal today is to help you avoid that feeling by sharing the most important things you will forget to pack before you go to on your cruise… so you DO NOT forget to do them! And if you love this video, we have lots of other great cruise videos to watch on our Royal Caribbean Blog YouTube Channel! 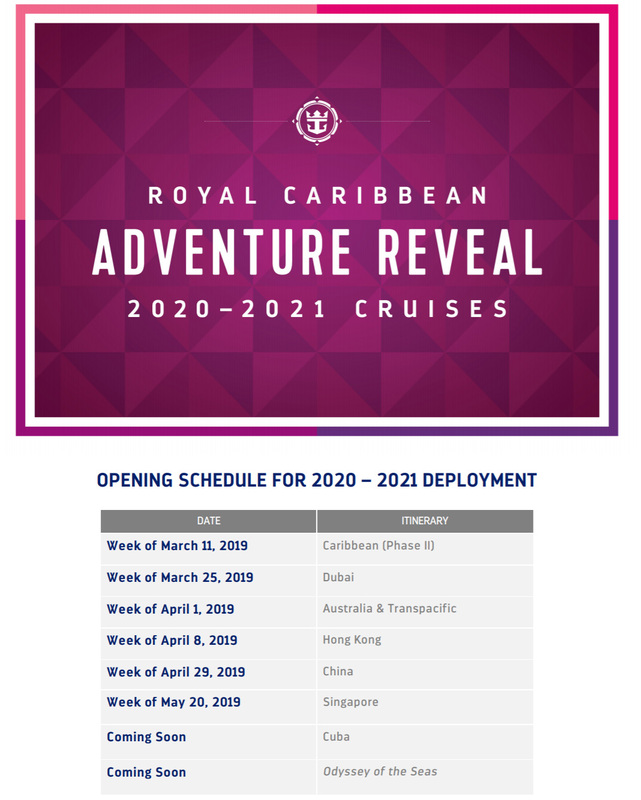 Royal Caribbean has posted an update for its remaining 2020-2021 deployments, with some additions to the schedule, as well as date changes. Royal Caribbean Blog reader Pippa Madden alerted us to an updated schedule, which expanded on the previously posted schedule. The updated schedule added releases for Hong Kong, as well as referencing a deployment schedule for the recently announced second Quantum Class ship, Odyssey of the Seas. All itineraries and openings are subject to change without notice. Navigator of the Seas is a classic Royal Caribbean ship that offers as much for guests to see and do as it is a tremendous value. 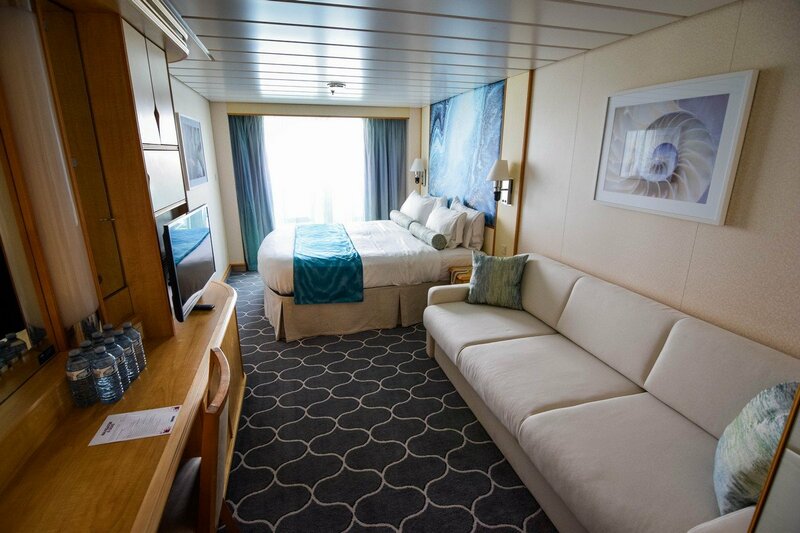 In 2019, the cruise line invested $115 million in upgrades and, and we have compiled our list of the best secrets that can be overlooked on Navigator of the Seas. 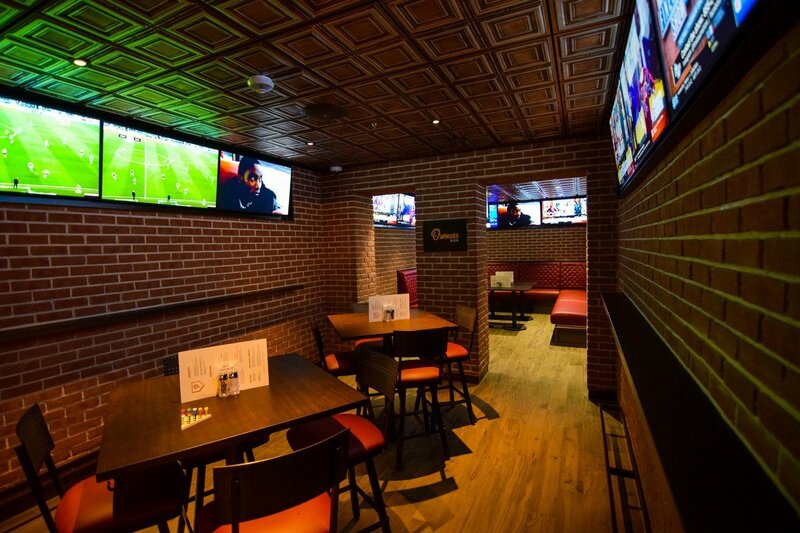 Playmakers Sports Bar & Arcade is a great spot to enjoy pub food, drinks and even a sporting event on television, and if you and your crew are interested in a spot away from the rest of the crowd, check out the Owner’s Box VIP room. 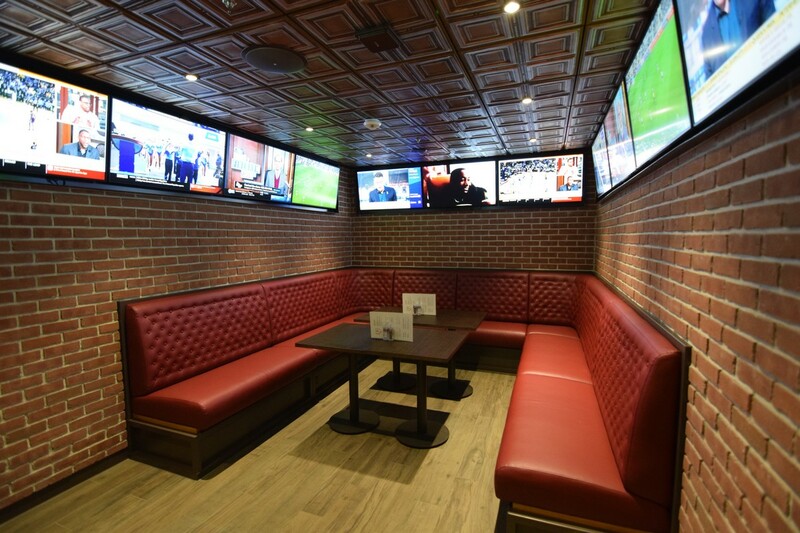 Located to the far right of the bar area, the Owner’s Box VIP room is a first come, first served area that is perfect for friends to watch the game, enjoy drinks and feel like you have your own special spot of the bar. Whether you are looking for the perfect spot for sailaway, or just a great place to enjoy the view, Navigator of the Seas' helipad is the perfect location. Located on the bow, guests can walk to the helicopter pad and enjoy the unobstructed views that you can only get from the helicopter pad. 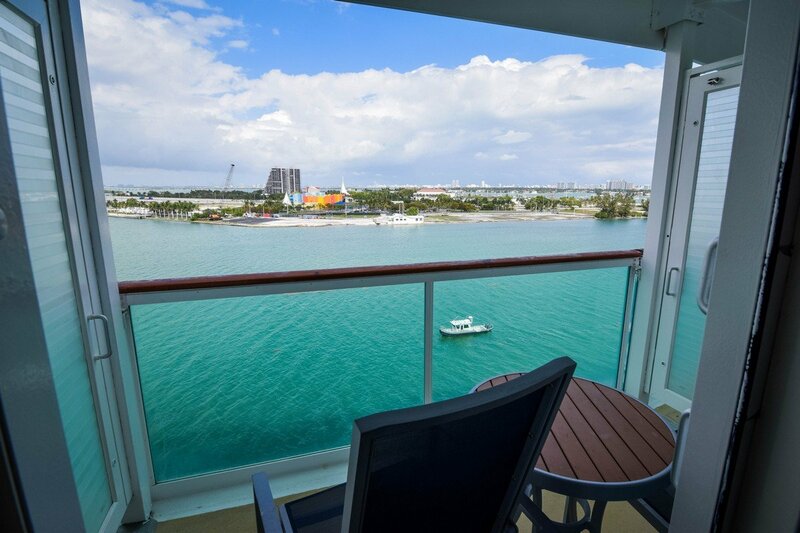 From the helicopter pad, guests can enjoy a near 360-degree view of what is surrounding Navigator of the Seas. To access the helicopter pad, go outside on deck 5 and then walk forward, climb up a set of stairs and continue walking forward until you reach the helicopter pad. Speaking of the helipad, if you want to avoid the stairs that lead up to the front of the ship, there is a secret door that will get you right there. 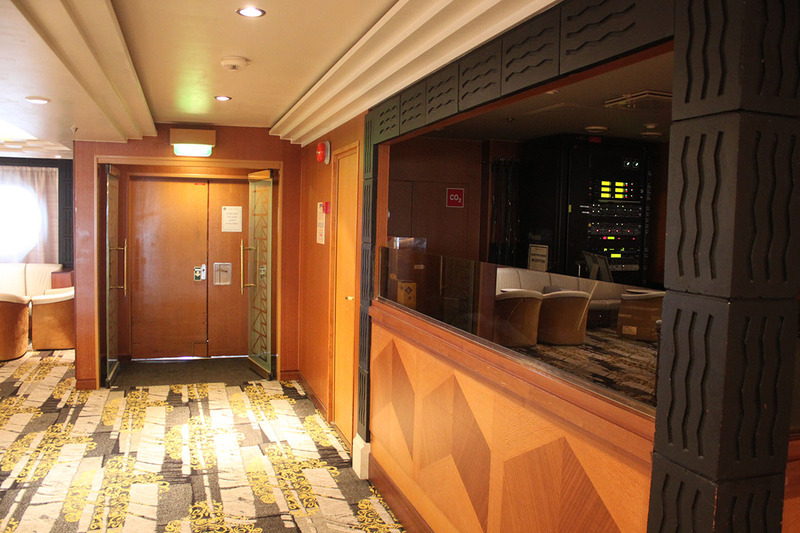 Walk all the way forward on deck 5 and enter the Star Lounge. In the daytime, it is usually empty. Enter the lounge and take an immediate right, just past the DJ booth. There's a set of unmarked doors that you can simply open up an you will be let out right next to the helipad. This is especially helpful if you have a stroller or are in a wheelchair and stairs are a problem. 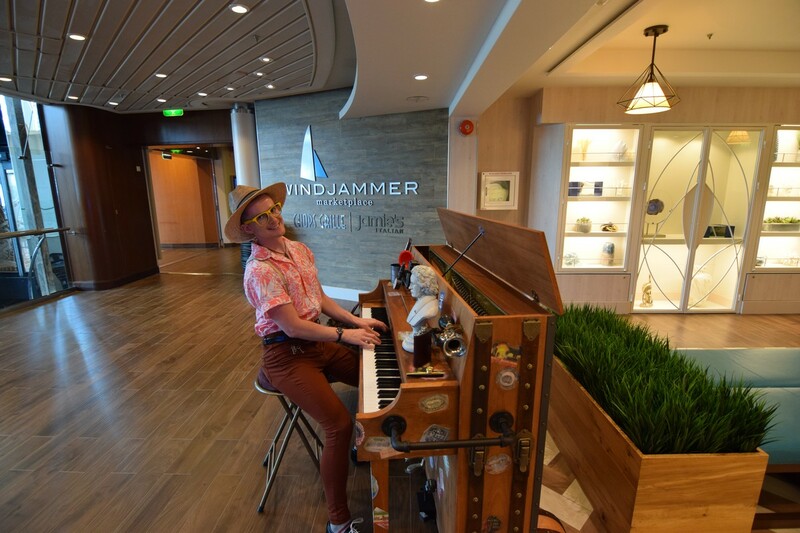 One of the best not-so-well-known entertainment options that Royal Caribbean has recently added is the "stowaway" piano player. The idea is there is a piano player with a far-out piano that will move around the ship and perform for guests but encouraging guests to not report him. The piano is no ordinary piano. It has hidden compartments and functions and can dispense various things, such as lollipops for kids or appear to overheat because of "intense" piano playing. This neat form of street theater will appear around the ship at different times during the cruise. 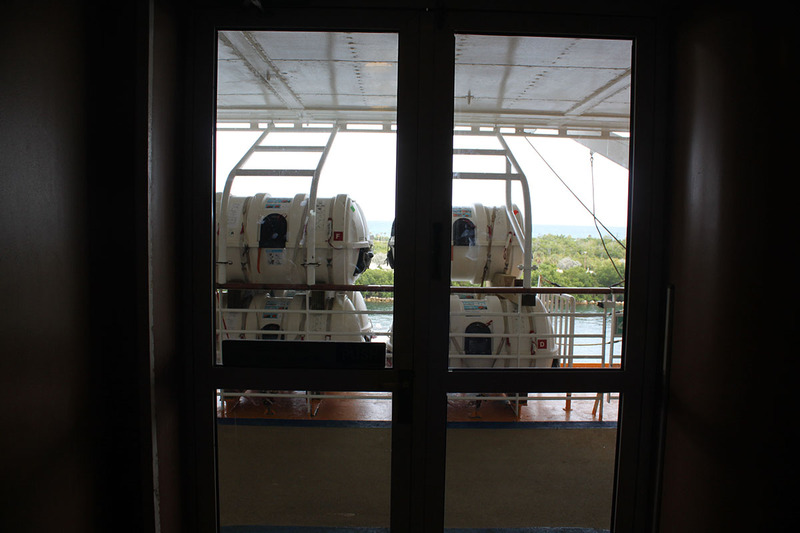 If you happen to have connecting balcony staterooms, most Voyager-class ships cannot have their balcony dividers removed. However, on Navigator of the Seas that is not the case. 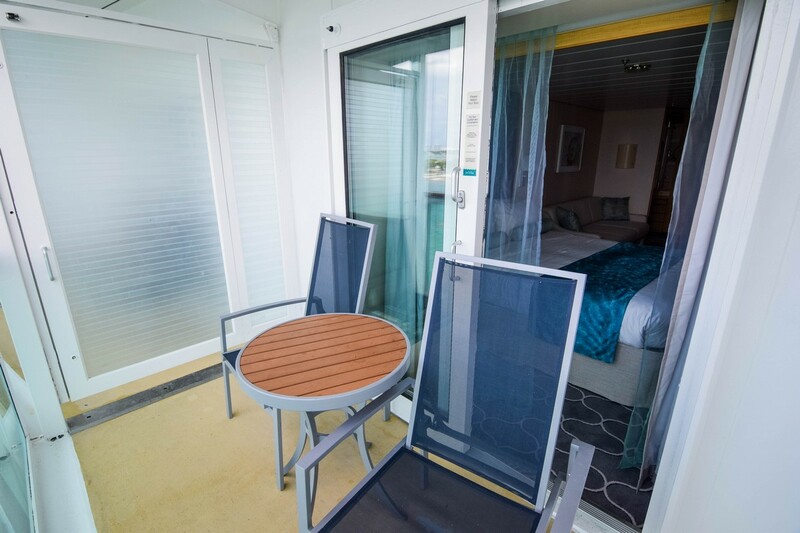 If you're interested in opening up balcony dividers on Voyager of the Seas, Explorer of the Seas and Adventure of the Seas, the balconies are attached to the ships' hull and cannot be removed. 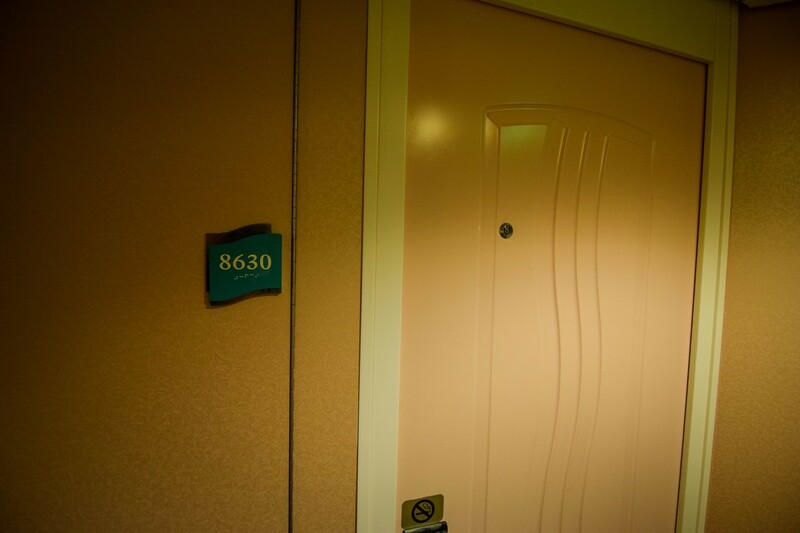 But on sister ship Navigator of the Seas, the balcony dividers aren't attached and can be removed. It is really hard to beat the views of Navigator of the Seas' upper decks from the Cosmopolitan Club. Located on deck 14 at the aft of the ship, the Cosmopolitan Club offers guests sweeping views of the upper decks and the ocean. To get to Cosmopolitan Club, you must use the aft elevators and go up to deck 14. 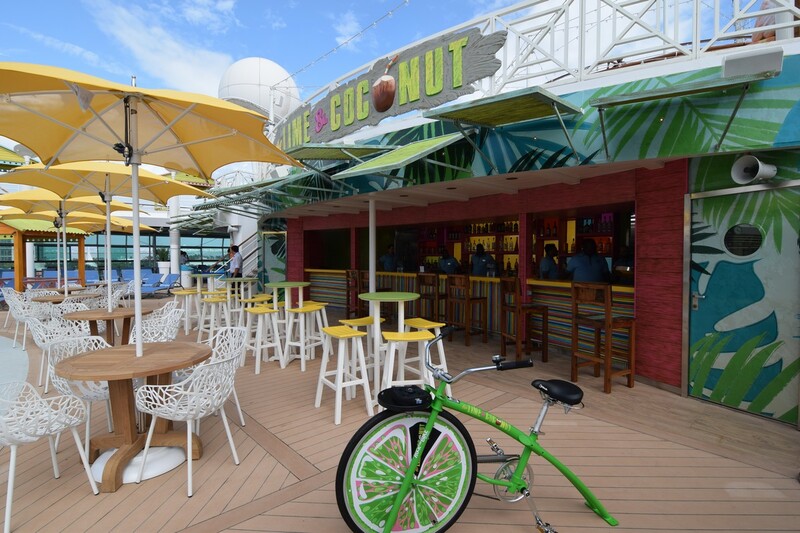 In front of the Lime and Coconut bar on deck 11 is a special blender bike, that allows guests to make mixed drinks with pedal power! Ask the bar staff for your chance to sit on the blender bike and spin the pedals as fast as you can to mix a frozen concoction. It is fun and the reward comes when the drink is fully mixed! Throughout decks 11 and 12 are casitas along the pool deck that are available on a first come, first served basis. These casitas have no additional cost, and are available for guests to enjoy at their leisure. They feature comfortable lounge chairs or day beds, and make for the perfect spot for your group to chill, nap or just relax between dips in the pool. Perhaps no feature on Navigator of the Seas will be as popular on your sailing as the two water slides, the Blaster and Riptide. If you want to beat the crowds, head to deck 13 aft as soon as you board. The first day of the cruise is a busy day, and most guests do not have their bathing suits with them when they board. Bring your swimsuit in your carry on luggage (or wear it to the ship) and then head to the slides in the afternoon. Most other guests onboard will not have their swim suits or even be aware the water slides are open. It is the perfect time to get multiple rides in without little or no wait! This is also a great strategy for the nearby FlowRider. 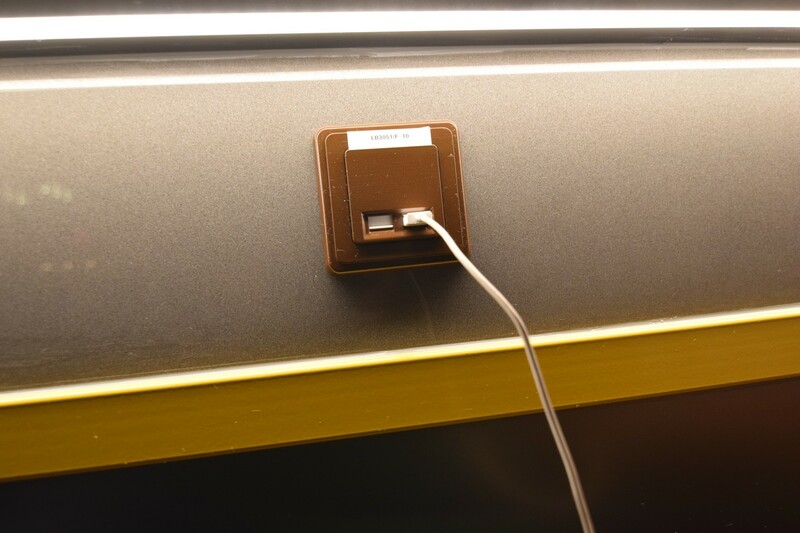 Did you know some of the popular bars on Navigator of the Seas offer convenient USB outlets for charging your devices while you hang out there? 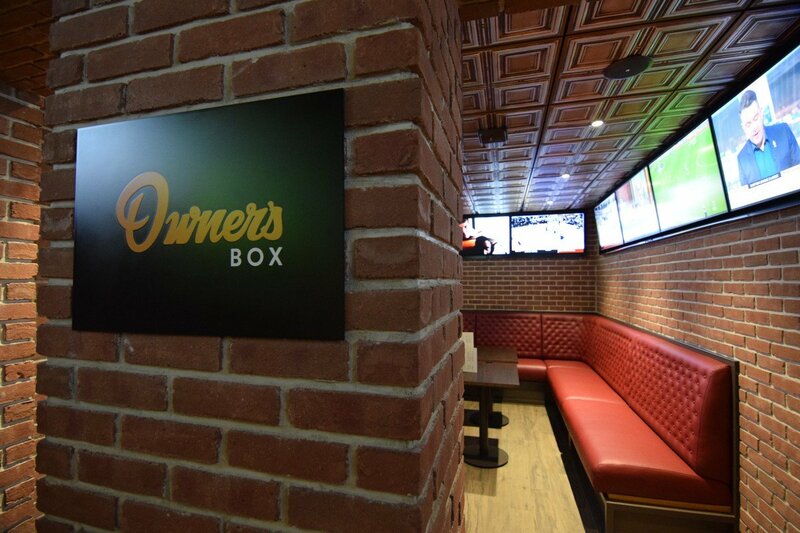 We spotted USB outlets at the Lime & Coconut and Playmakers, which means all you have to do is remember to bring your charging cord and then plug in while you enjoy drinks, music or the company around you. Did we miss any Navigator of the Seas secrets? Share them in our comments! Welcome to March! We hope you are having a great weekend and are ready to sit back, relax and catch up with all the latest Royal Caribbean news! The big news this week was the completion of Navigator of the Seas' $115 million amplification that introduced a variety of new additions and changes. The transformed 3,386-guest ship debuts new adventures and Royal Caribbean favorites for all ages, like the longest aqua coaster at sea; the industry’s only head-first mat racer waterslide; a reimagined poolscape infused with Caribbean vibes; the first standalone blow-dry bar at sea; and elevated dining and nightlife. Navigator of the Seas is the third ship to be reimagined as part of the Royal Amplified modernization program, an investment of more than $1 billion in the cruise line’s award-winning fleet. The effort spans 10 ships in four years and touches every facet of the guest experience with the introduction of a wide range of new thrills and Royal Caribbean staples meant to appeal to every generation. Spectrum of the Seas left her dock in Germany. Check out video and photos of the big event. 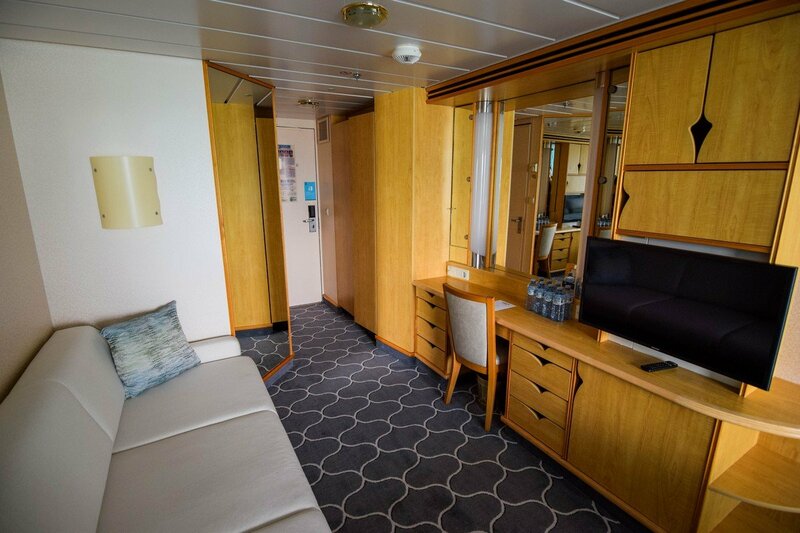 We shared a photo tour of the Category 2B Ocean View Balcony stateroom on Navigator of the Seas. Check out these aerial photos of the amplified Navigator of the Seas. Speaking of Navigator of the Seas, here is a look at the finishing touches being applied. Royal Caribbean was named one of the world's most ethical companies for the fourth year in a row. Royal Caribbean shared a video of the propeller being installed on Spectrum of the Seas. Royal Caribbean won an award for best cruise line for customer support and service. The 291st episode of the Royal Caribbean Blog Podcast is now available, and it is dedicated to all of our listeners with nothing but your emails being read. In this episode, Matt dives into the Royal Caribbean Blog Podcast email inbox to answer your cruise questions. 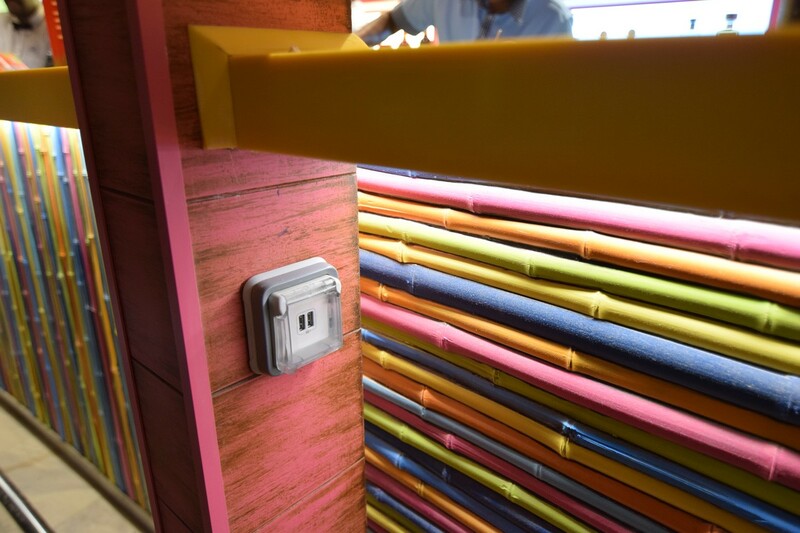 The South Florida SunSentinel shared a look at Royal Caribbean's entertainment facility. Eat Sleep Cruise posted a review of Wonderland on Symphony of the Seas. 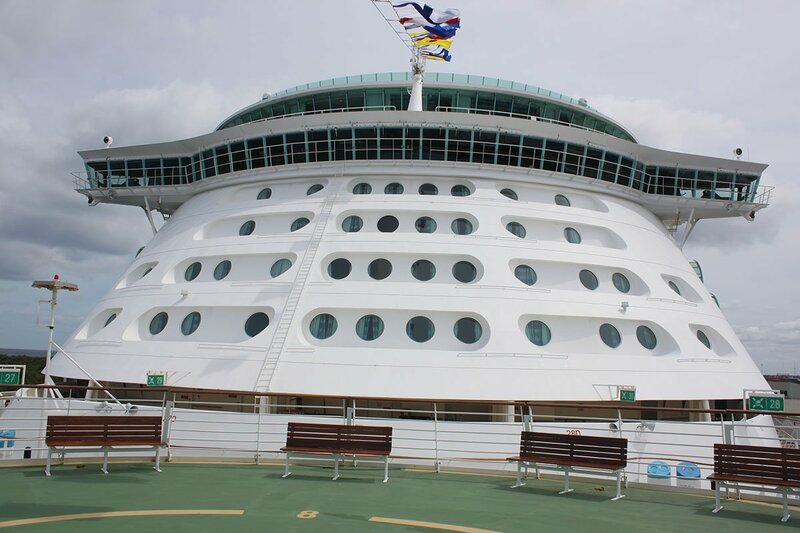 Cruise Fever shared first impressions of Voyager of the Seas. 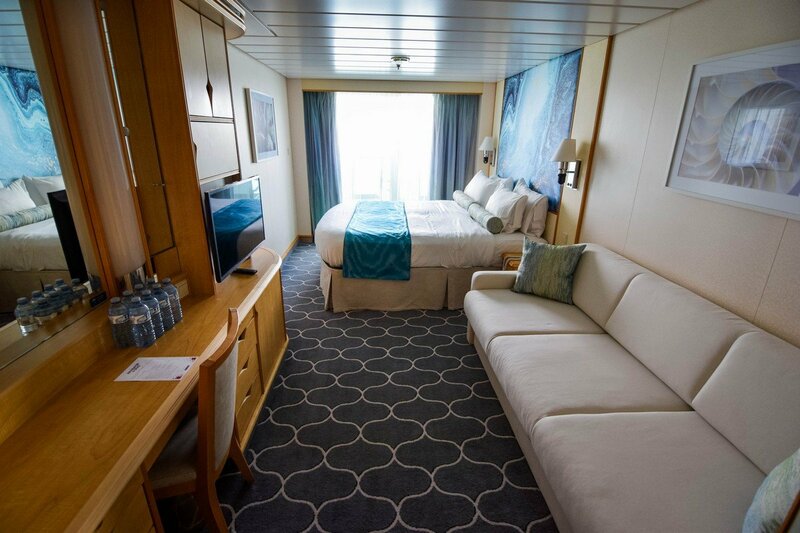 Royal Caribbean updated its staterooms on Navigator of the Seas as part of the ship's Royal Amplification revitalization, and we have a look at the Category 2B - Spacious Ocean View Stateroom with Balcony. 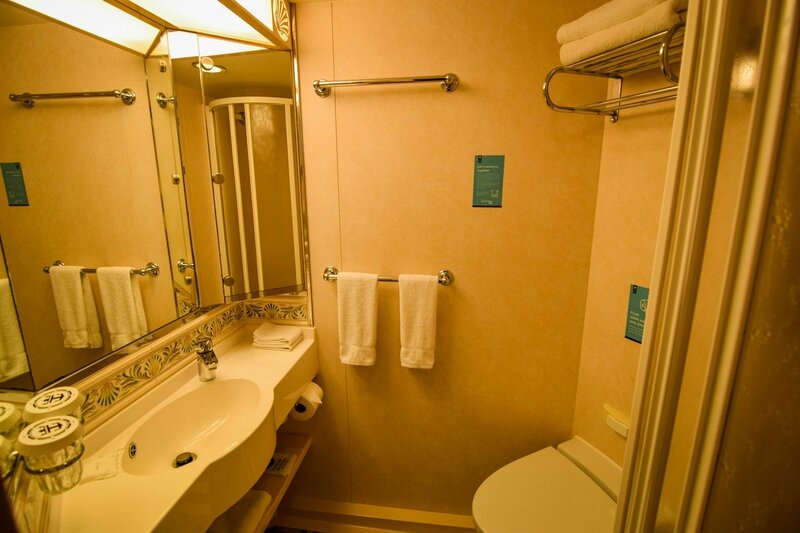 Category 2B staterooms have two twin beds that convert to a Royal King. 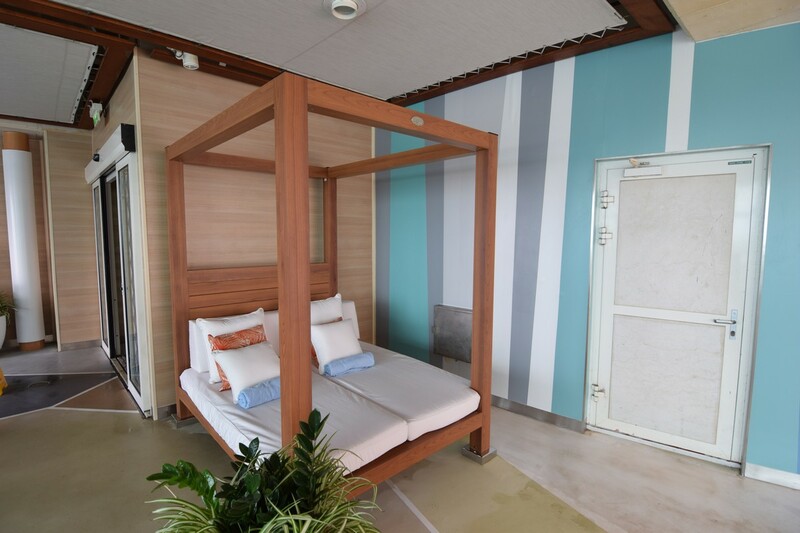 In addition, there is a sitting area, private balcony, and a private bathroom. 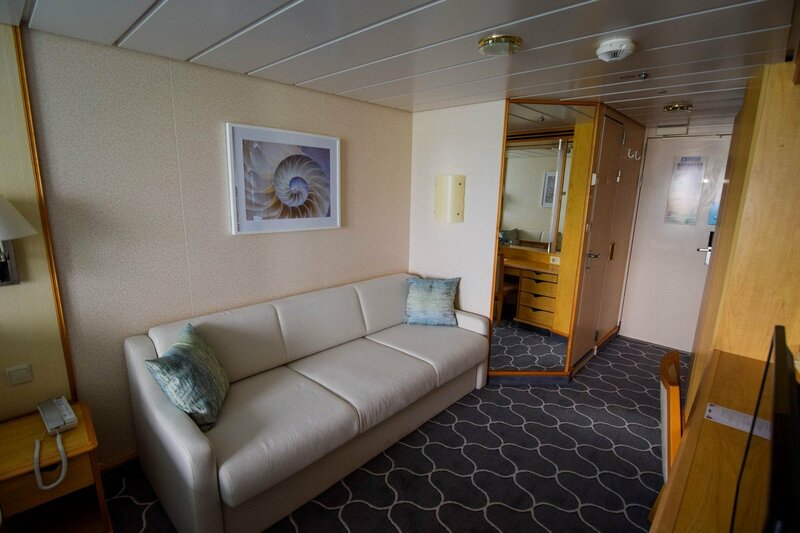 The spacious ocean view stateroom offers 199 square feet of living space, along with a sofa to sit on during the day. A private balcony comes with this room, and the balcony measures 65 square feet.